GALION — The Crawford County Sheriff’s Office has released the names of those involved in Thursday’s fatal accident. 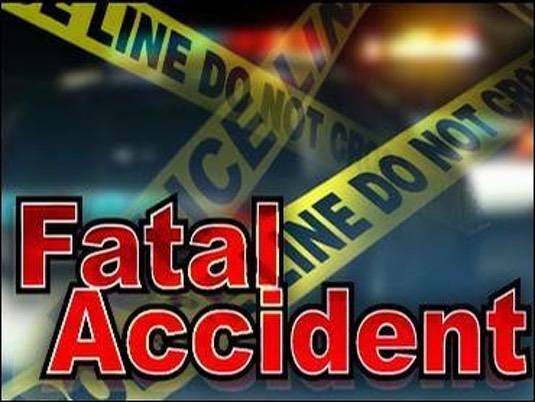 Mitchell Davis, 33, of Mount Gilea, died after the two-vehicle crash west of the city at the intersection of Ohio 100 and Monnett-New Winchester Road a little before noon. According to the sheriff’s office, a white 2016 Ford Truck F-550 owned by Gundenkauf Corporation, and driven by John Bays, 42, of Gallipolis, was traveling eastbound on Monnett-New Winchester Road where he failed to yield at the intersection of Ohio 100. The truck struck a white 2001 Toyota driven by a Davis. The car caught fire, while the truck ended up on its side, off the road. Members of the Whetstone Township Volunteer Fire Department utilized the JAWS unit to remove the driver from the car. Davis was initially loaded into a MedFlight helicopter, but was removed due to his condition and placed into a Life Support Team EMS ambulance and transported to the Galion Hospital, where he died. Bays was transported by the Galion Fire Department to the Galion Hospital in critical condition. He was then flown by medical helicopter to Grant Medical Center in Columbus. The sheriff’s office said the driver of the truck is in stable condition at Grant Medical Center in Columbus. The Crawford County Sheriff’s Office, Ohio Highway Patrol, and Jefferson Township Volunteer Fire Department also responded to the scene.